Wuhan, China. 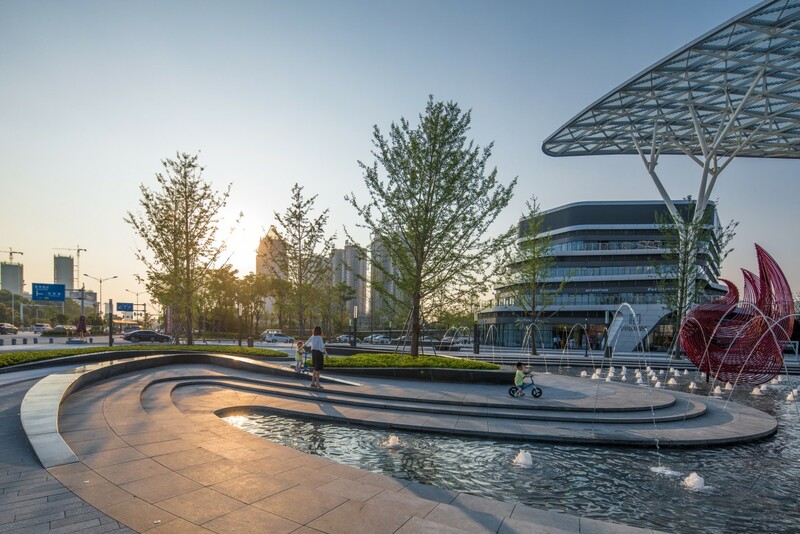 Capital of Central province of Hubei, and the setting for our One City Development by Gemdale, with public domain design the team at ASPECT Studios Shanghai. 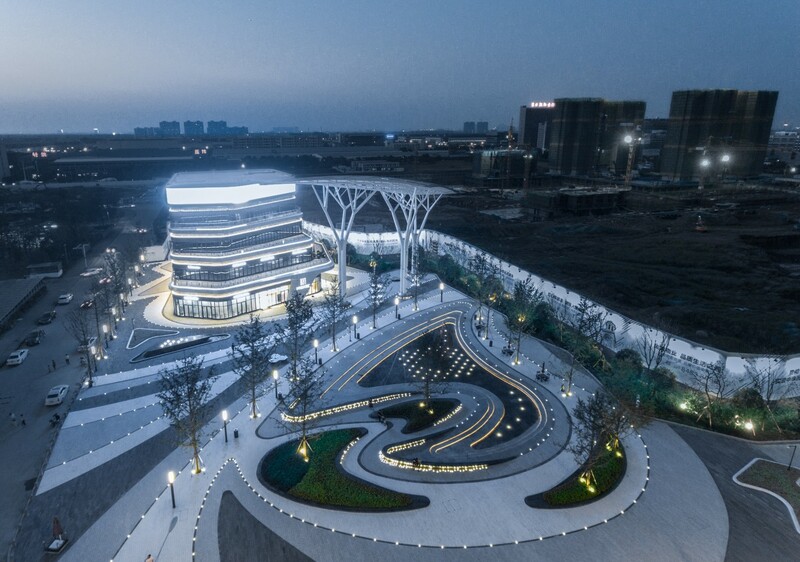 Comprising a cultural and art centre, commercial precinct and eco-shopping gardens, the design of this new mixed-use project is deeply rooted in local culture and people-oriented sustainability. 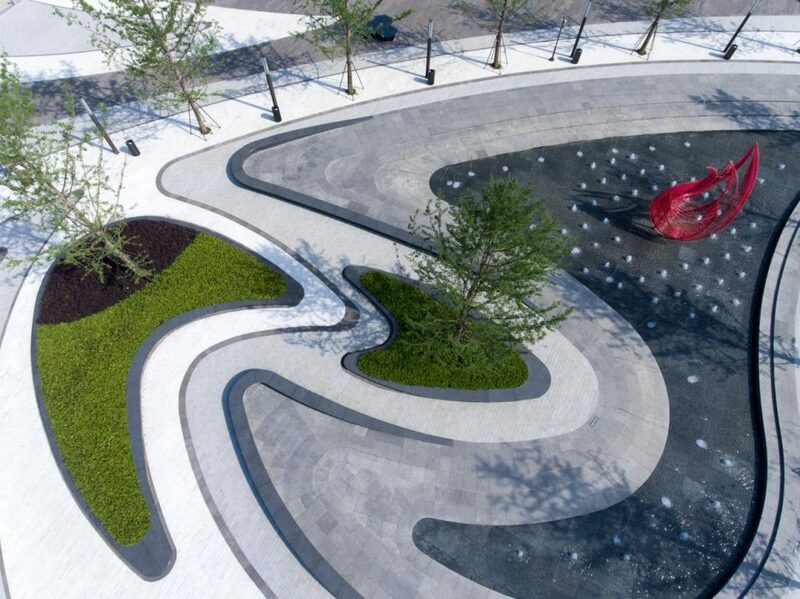 A cultural, social and commercial centre as a place for family, recreation and work. 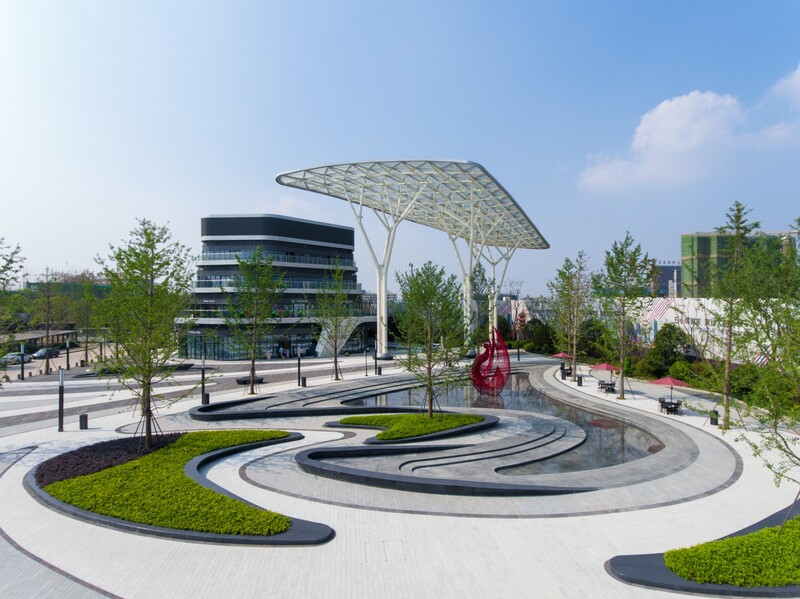 A solar ‘tree’ defines the main gathering space of the central plaza casting an extensive canopy across the main entertainment space sheltering people from sun and rain. 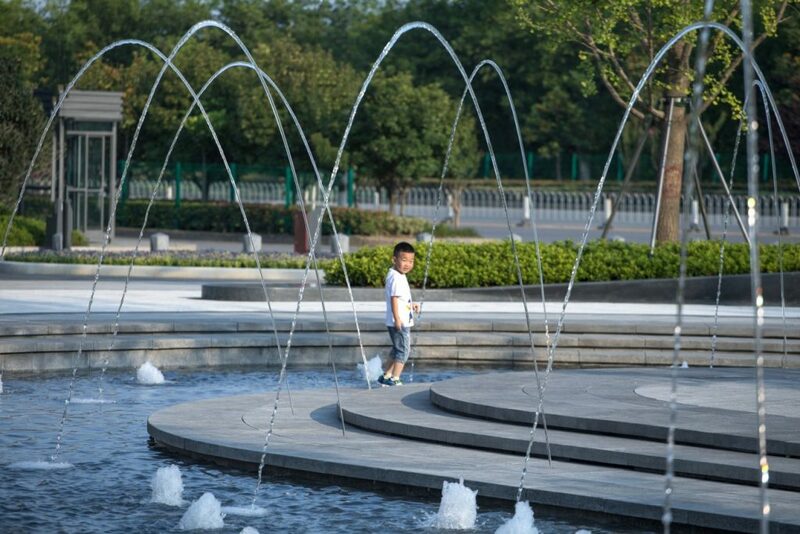 To its east, the Phoenix reflection pool and dancing fountains flanked by locally selected tree species is a multi-functional play space for children, reflection pool and summer entertainment space surrounded on all sides with shaded seating for parents and onlookers. 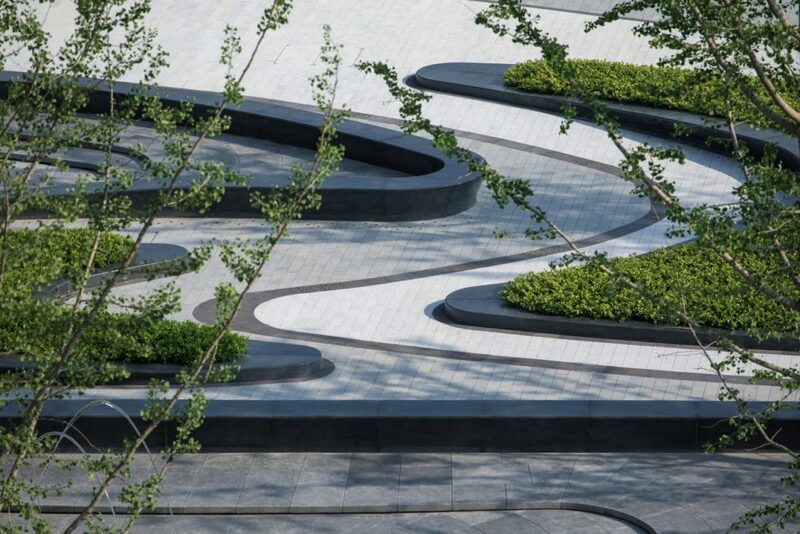 South of the water plaza, a series of signature sweeping walls sculptured from local stone, create a visual interplay between each other, structured to deliberately bring people physically closer together to encourage social interaction in the dappled shade. 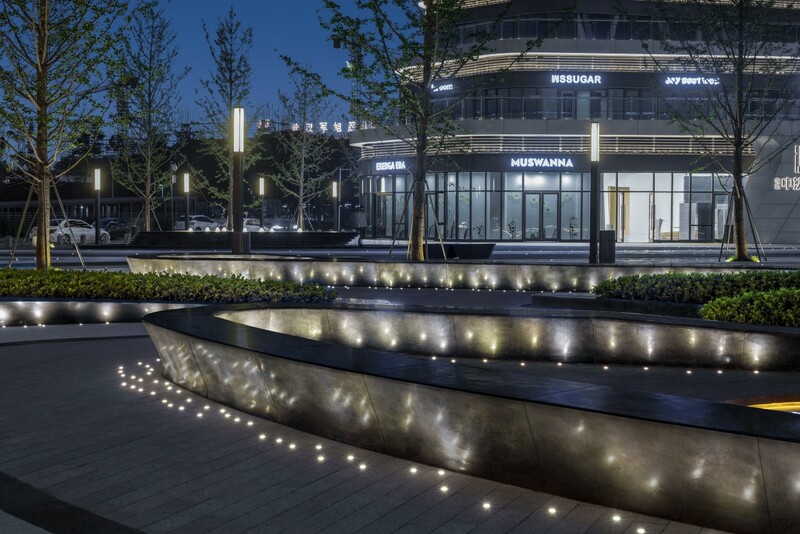 Specialist lighting design integrates the precinct’s architecture and landscape, assisting the natural transition for the changing demographic of users from weekdays to weekend, dawn til dusk and from a place of interaction and commerce to a recreational play space. 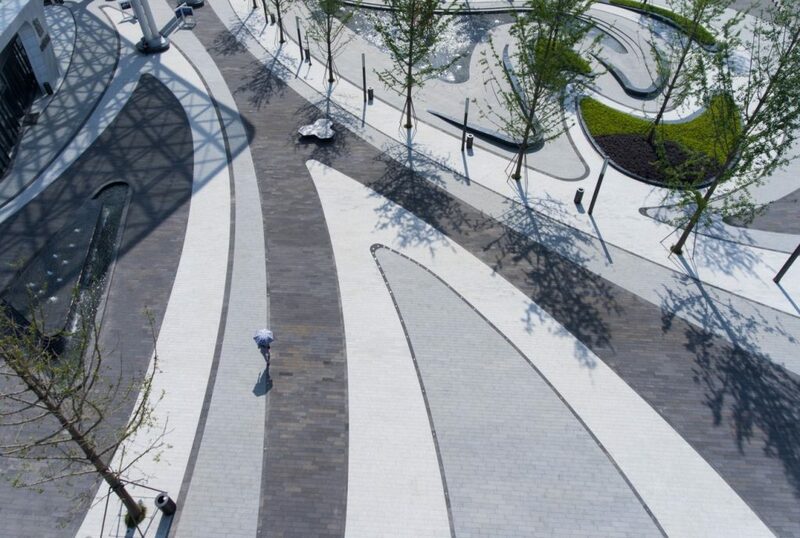 “Grand and inspiring, humanistic and engaging. It’s a landscape of many facets, scales and experiences, each contributing to a dynamic new public domain. 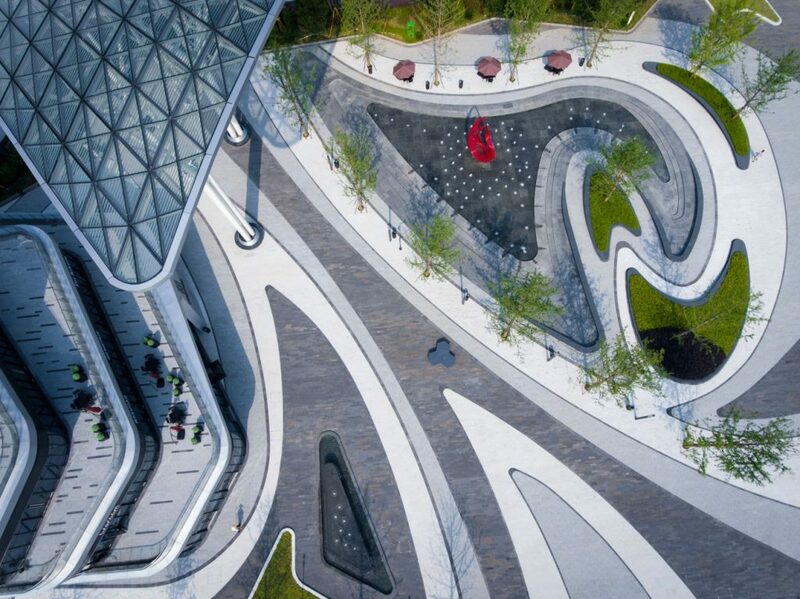 The careful selection of native trees and shrubs will bring a seasonal dimension to the design, as the spaces take on different characters through the year.” - Stephen Buckle, Studio Director ASPECT Studios Shanghai. 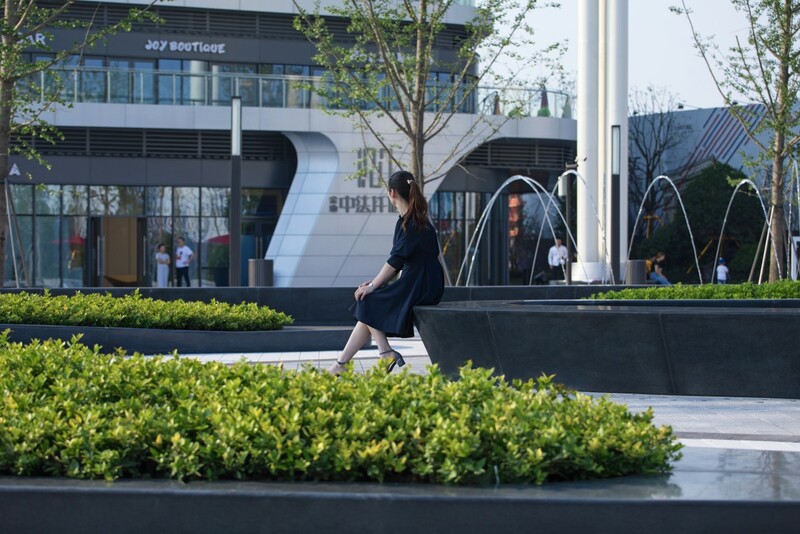 Wuhan Jinxiang Property Co., Ltd.